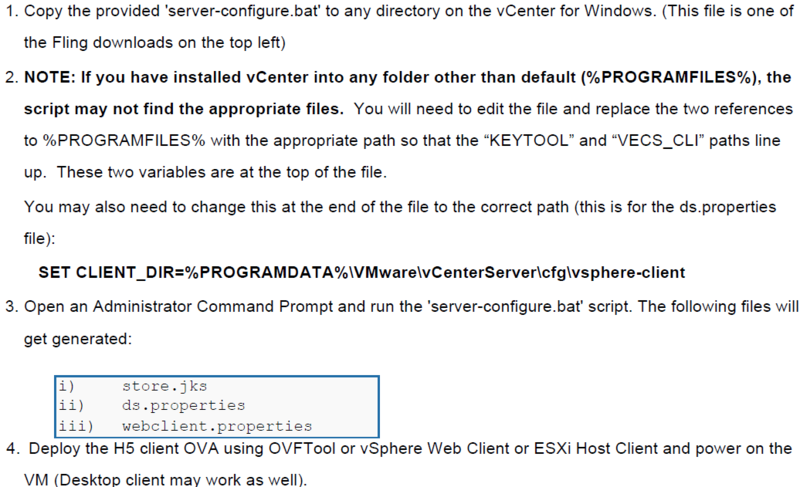 VMware Administrators – now you realize that vSphere (c#) Client is not going to be available in future and time to learn some basics of vSphere H5 Client. First step is how to install it at your Home Lab or Testing setup. 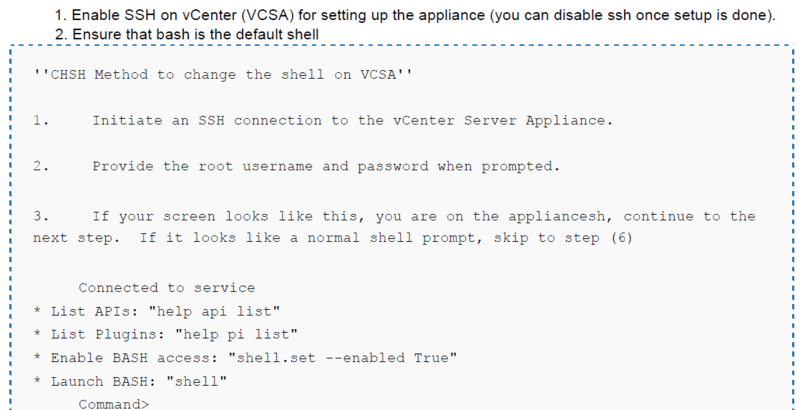 Please find the step by step process to install this on both Windows based vCenter and VCSA (VMware vCenter Server Virtual Appliance) followed by access procedure. 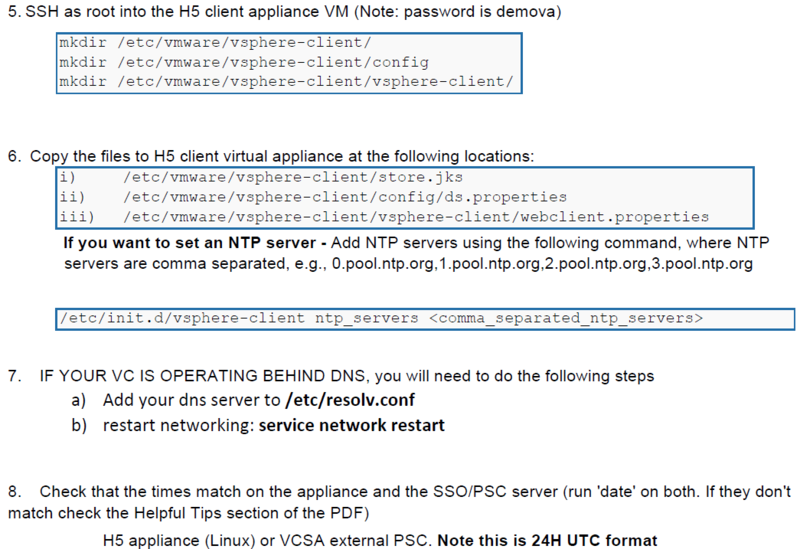 Time for you to start learn/explore this new client and check the VMware Flings section for detailed information.The root password on the appliance is ‘demova’ (without quotes). If you enter the wrong password too many times you will get locked out. The easiest way to fix this is to redeploy the appliance from the OVA.